Old No. 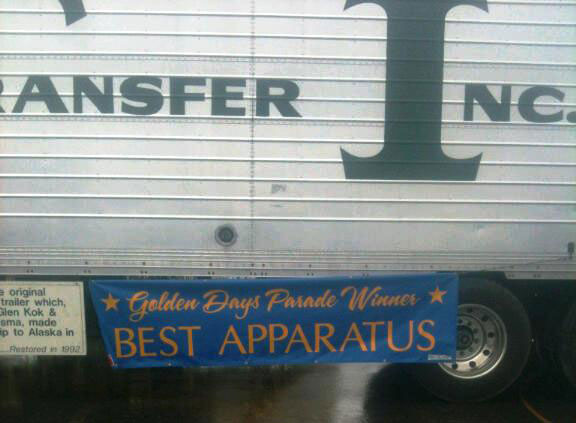 27 and Old 22B, Lynden’s original Alcan tractor and trailer, earned a blue ribbon for Best Apparatus at the Golden Days Parade in Fairbanks, AK earlier this summer. 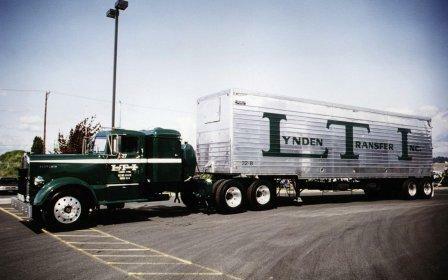 The rig, which features a traveling museum inside the trailer showing Lynden’s history, makes the parade circuit each summer. 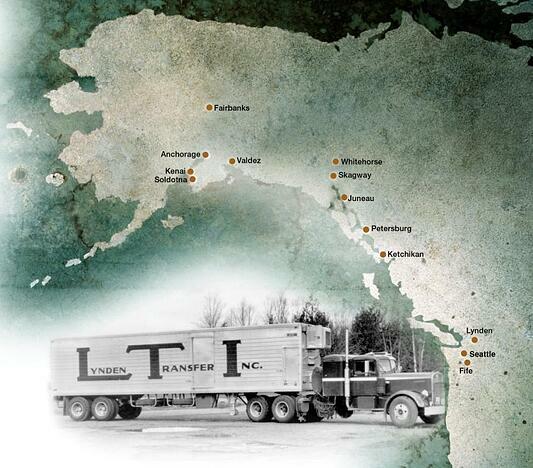 Lynden Transport Driver Albert Kennedy was at the wheel in Fairbanks, and Alaska West Express Driver Doug Scott drove for the Bear Paw Parade in Eagle River July 25. Next up was the Colonial Days Parade in Palmer with Alaska West Express Driver Kenny Seipel steering the rig along the parade route. 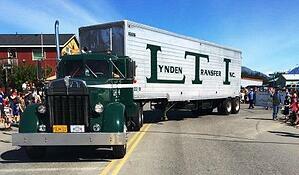 According to Lynden Transport’s Greg Buscher in Fairbanks, it was the first time the truck was in the Fairbanks parade. “The Best Apparatus Class is reserved for service vehicles, mainly fire and rescue units, and they spend a large amount of time cleaning and polishing,” Greg says. 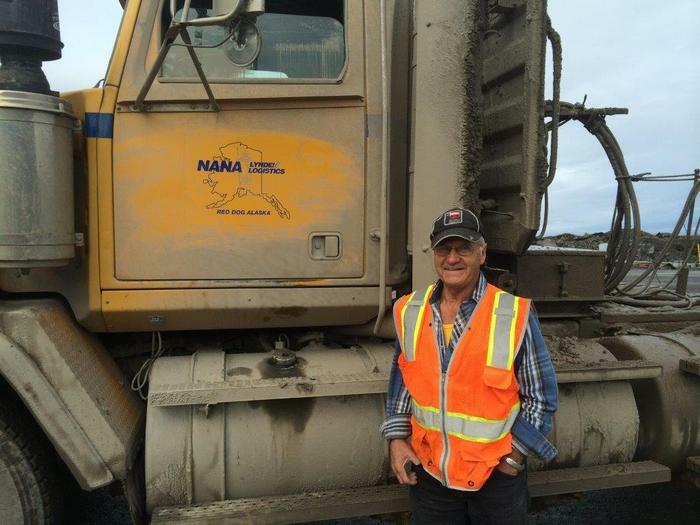 “Old 27 was driven up the day before by Richard Hennigan and just got a quick hose-off for road dirt. For it to go through the parade and take the Blue Ribbon was pretty special.” The Fairbanks Daily News-Miner also ran a front-page story on the truck and its history.